Presents a series of seemingly abstract computer-generated pictures -- created with the use of the "Salinsky Dot" image-rendering system -- from which a 3-D image will emerge, accompanied by instructions to help viewers discover the images. Family and friends will enjoy hours of entertainment while viewing the amazing 3D illustrations found in this #1 New York Times bestseller. 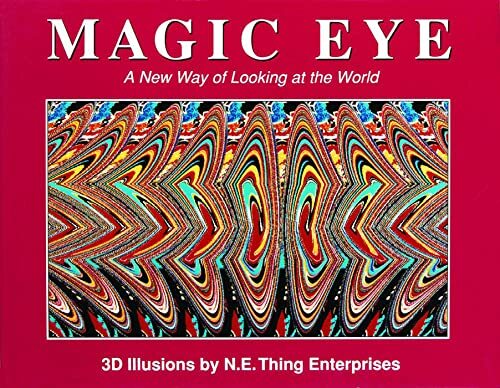 Embedded within each image of Magic Eye: A New Way of Looking at the World is an enchanting 3D object or scene that materializes before the viewer's eyes. Simple viewing instructions and a solution key are included.